Across North America, bird populations are declining at alarming and unsustainable rates. Some grassland bird species have lost as much as 95% of their population since 1970, and we are working hard to reverse those trends. Many birds are migratory in nature, so research and conservation efforts must address the entire annual cycle of a bird’s life—on breeding and wintering grounds and across the places in-between, including international borders. We believe the world needs birds. We envision a future where birds are forever abundant, contributing to healthy landscapes and inspiring human curiosity and love of nature. 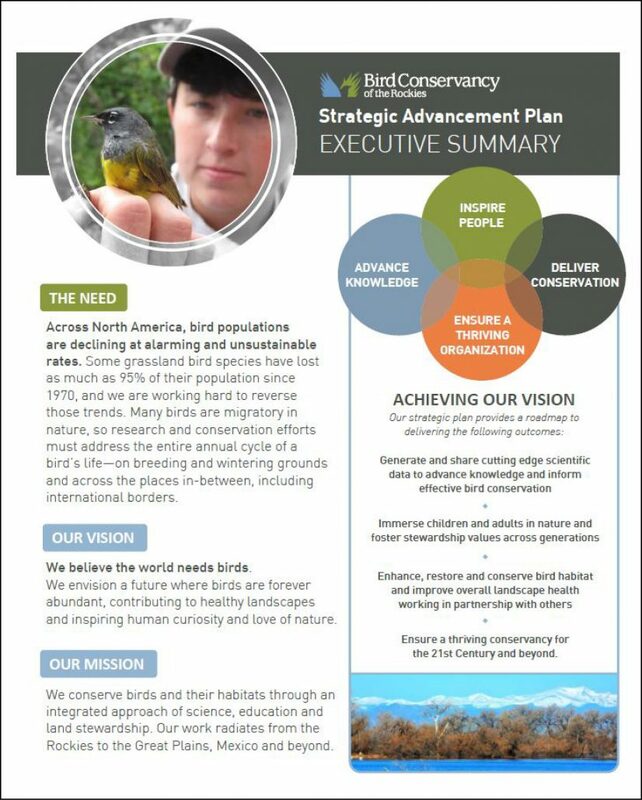 Our mission is to conserve birds and their habitats through an integrated approach of science, education and land stewardship. Our work radiates from the Rockies to the Great Plains, Mexico and beyond. 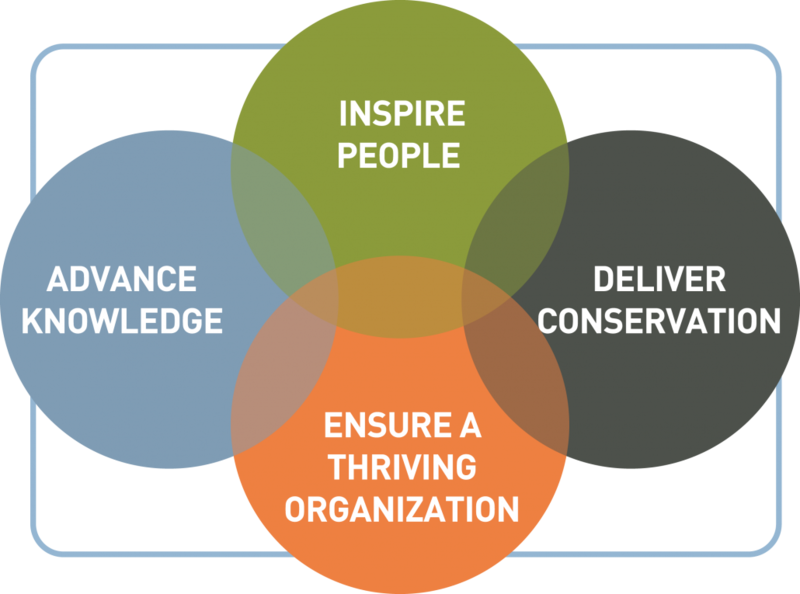 Ensure a thriving conservancy for the 21st Century and beyond. For 30 years, Bird Conservancy of the Rockies has worked to conserve birds and their habitats across the breeding, wintering and migratory ranges of birds of the Rocky Mountains and Great Plains. Private support is critical to addressing the great conservation challenges facing people, birds and land. We invite you to join our flock today and help kick off our next 30 years of bird conservation success! You will be supporting the work of biologists, scientists and educators across the Rocky Mountains, Great Plains, Mexico and beyond. Together, we can give a legacy of conservation to future generations!